Since the ascent of ISIS organization to the forefront in the summer of 2014, its media machine has held the world's attention to the same extent as the world has been engaged by the atrocities with which ISIS began its presence and control of a large geographical area, proclaiming the establishment of its state in it. Since then, the role of ISIS's media has not been confined to only magnifying the image and capabilities of the organization, but it has also been accompanied by marketing functional tasks that were topped off with the use of the technologies of image and sound, and social media platforms, which are easily available, for the purpose of supplementing the military and organizational capabilities of ISIS. But in recent years, there have appeared a lot of indications of the decline of ISIS's media performance in parallel with a lot of changes that have occurred on the scene. 1-The availability of subject matter that can be invested by the media, as a result of the organization's consecutive victories on the Iraqi and Syrian fronts. 2-The interest of the international and local media in the course of events in the areas newly controlled by the organization , or those that it was trying to control. 3-The success of the organization to attract a number of the experienced cadres of "Electronic Jihad" associated with al-Qaeda from all over the world after the open difference between the two groups. 4-The availability of cadres who undertake the processes of photography, montage, direction, and designing as well as the process of electronic marketing. 5-The availability of safe shelters and possibilities for the members and cadres of the organization after capturing a number of large cities, the most important of which were Mosul and ar-Raqqa, which procured technical spoils. After the organization- controlled territories had been divided into wilayas, ISIS launched a media office in each wilaya that was provided with photographers and technicians who belonged to it. Their numbers depended on the importance and needs of the wilaya. Some informed sources are inclined to think that those photographers and technicians took courses under the supervision of a central cadre subordinated to the" Ministry of Information", which was supplemented with a qualified specialist in visual identity industry according to what most of the organization's media products indicated at the time, seeing that they had similar artistic characteristics that weren't found in the releases that had appeared a few months before. The media offices were also attached to the "Ministry of Information" , which has a central nucleus represented by the al-Furqan "Institution", which has been authorized to direct and publish the speeches and releases of the organization's senior leaders since it was created in Iraq in 2006. The tasks of the wilayas' media offices can be summarized as follows: presenting photographic reports and videos on the military and civilian activities of the organization, and publishing them on the wilayas pages on social networks. The officials responsible for the media offices also supervise the media points in the wilayas, which publicize the organization's video releases on a display screen, distribute pamphlets and leaflets, and download anthems and videos to the mobiles of those who ask for that. These tasks are done by a contracted employee at each media point. The Ministry of Information undertakes censorship on " al-Bayan" Radio, which started to broadcast on short wave for a few hours in Mosul and ar-Raqqa, and on the Internet. The Ministry also supervises the official and supportive media institutions and tries to coordinate between them. 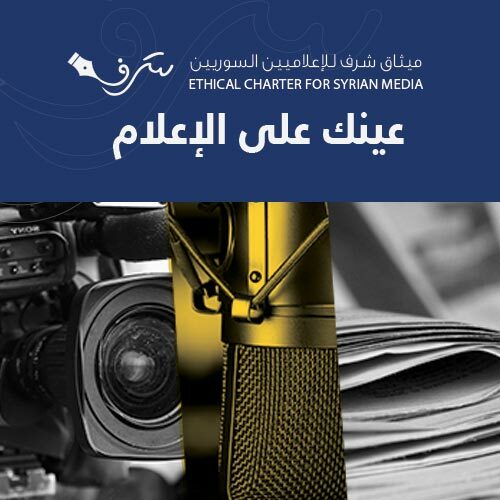 As soon as the organization entered Syria, there appeared" al-Hayat" and " al-Itissam" institutions, which were responsible – alongside "al-Furqan" and the wilayas' media offices- for 95% of the organization's audio video and written releases until late 2014. ISIS's gain from al-Qaeda wasn't confined to only attracting and recruiting the cadre. The organization also followed the very strategy that the original organization followed by using media products for the purpose of recruiting new members, spreading psychological terrorism externally and internally, and developing the technical work and propagandist media products aimed at non-Arab people or people living in the West who are of Arab origin. Such a task had been taken on by al-Fajr center subordinated to al-Qaeda, which in the year 2006 started issuing a magazine specialized in teaching montage, hacking, setting up websites, and the ways of publishing. The magazine was named" al- Mujahid al-Tiqani". The center was also specialized in translating al-Qaeda releases and publications on the Internet into seven languages, at least, for the purpose of attracting more emigrant fighters. On the first days of establishing the caliphate, there appeared" Dabiq" magazine. 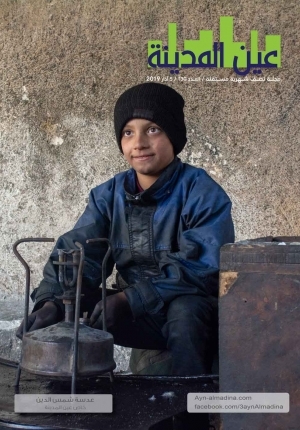 The magazine was published by al-Hayat institution, which had been lately set up, while the video releases which were translated into other languages began to come out in quick succession. Afterwards there appeared Da'eshists of Western nationalities who spoke in their countries' languages and addressed their governments and carried out beheadings as a main part of the organization's propaganda, which depends on promise and threat, and as an effective way that distinguishes ISIS from the rest of the contemporary terrorist organizations. While the truth about the organization was still ambiguous for many people, ISIS started its caliphate by publishing the fourth part of the series the "Clanging of the Swords", released by al-Furqan institution, whose anthem had gained unprecedented fame since the series was released in May 2014. Including aerially filmed scenes , and assassinations and explosions in Iraq, the release held attention. This stimulated the imagination of the organization to exceed all limits in displaying the scenes of atrocities because of the notoriety that the release had gained. A short time later, the organization published the release " Kill them Wherever you Find them", in which there appeared about 1700 army recruits who were being taken out of the Spiker camp in Iraq ,then they were executed in ways that hadn't been showed before. Between July and October of the year 2014, the organization published tens of frightening releases, which deeply moved international public opinion and its governments, and brought the organization truth into focus. Those releases included beheading foreign journalists and hostages, and the films " the Flames of War" and "kill them and scatter their ranks, making an example of them", which included scenes of executing hundreds of soldiers from Division 17 and Brigade 93, which the organization had taken a few days before. The last two films were released after the newly created pages of the organization's wilayas and its electronic supporters on Twitter spread news and published images of the two events. These two films, therefore, came out to enhance the credibility of the organization, whose masked men would kill their victims in unimaginable ways, and cadre would deliberate before producing the scenes of burning, drowning, exploding, and cutting victims in half. To sum up, it can be said that the characteristics of ISIS's media lie in the fact that unlike the media in its interactive traditional sense ,it is regarded as a one-directioned, marketing and propaganda tool for the organization's military and ideological products, which allows the organization to be as much strong or weak as it is strong or weak. After the rift between al-Qaeda and Da'esh occurred, many of the original organization's media activists pledged allegiance to Da'esh. The list of those media activists who joined Da'esh included Mohammad Mahmoud, an Austrian of Egyptian origin who had established the International Islamic Media Front, Hummam al-Humaydi, a Yemeni who had established Al-Battar Media Institution, and Bilal al-Shawashi, a Tunisian who had been the spokesman for the jihadist salafi current in Tunisia. Except for Dabiq magazine, which has a special public, the organization doesn't care as much about the print media as it cares about video production and parallel electronic activity. We, therefore, will not speak about al-Naba weekly, which started to be distributed in some areas after the beginning of this year, or the performance of al-Bayan Radio. We will not evaluate ISIS's production of anthems at this stage, either. We will depend mainly on the video production and the speeches made by the organization's leaders for evaluating ISIS's media performance. The first media point was set up in al-Bab city, located in the countryside of Aleppo. Afterwards the organization set up another media point in Minbej city. A month after proclaiming the caliphate, the organization opened 6 ones in Mosul. The current number of ISIS's media points in all Syrian and Iraqi areas controlled by the organization is estimated at 100 ones. 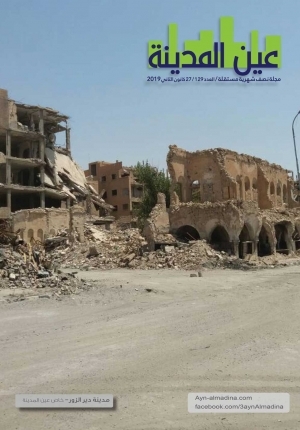 The media production by the organization's official and supportive "institutions" has been decreasing steadily since the end of August 2015, especially the production that covers ISIS's main strongholds in Iraq and Syria. According to our observation of ISIS's media production, the number of the media items relating to Syria didn't pass the 900 barrier in January 2016. Images constituted 75%-80% of the releases, while the items of footage relating to Syria decreased from 285 ones in June 2015 to 140 ones in February 2016, and the items of footage relating to all the organization's wilayas decreased to 400 ones in February 2016. In his last recorded address broadcast in October 2015, Abu Mohammad al-Adnani, the spokesman for the organization, focused on attacking the revolutionary Syrian factions, threatening them with defeat, along with the Americans and their allies. In that address he spoke from a position of strength, dragging up sites where the organization had been able to make military gains and cut off heads, and promising the final victory. But at the end of January, the organization broadcast an address by Abu Bakr al-Baghdadi after he had been absent from appearance in recorded addresses for seven months, and one year and a half after the sole public appearance. In that address, he reflected the state of the organization after the disorder it had been thrown into by losing vast areas prior to his address, some of which were Sinjar, al-Ramadi, and Tal Abyad, while the military operations were still carrying on for retaking more areas from the organization. Al-Baghdadi, therefore, predicted a phase when the ordeals his state was going through would grow more severe, and asked his men to maintain endurance and constancy, and promised them "one of the two gains", an expression that he repeated several times. On the media level, it is noticeable that since that date the organization has been focusing heavily on the aftereffects of the bombardment by the coalition warplanes and, to a lesser degree, by the warplanes of Russia and the warplanes of both the Syrian and Iraqi regimes. The video clips of the aftereffects and the victims of those air raids amounted to more than 20% of the total video reports published by the organization until the end of February 2016. Such video clips were used in the context of provoking sympathy and arousing feelings of persecution after they had been more obviously used in the context of incitement, and as opening scenes of " Treatment of Chests", achieved by the organization through executions .Perhaps it was for the same reasons that in his speech al-Baghdadi focused on the Palestinian cause, which usually doesn't takeup much space in ISIS's media, and attached it to the suffering of his "state" and "Umma" (Muslims all over the world), against which" the world and the unbelievers have never joined hands with each other as they are doing now", according to his expression. Analyzing the video releases published between the end of 2015 and March 2016, we can observe a decline in the artistic effects and dramatic and narrative direction, which had played a role in drawing attention to ISIS's media and transforming it into a media phenomenon by videoing the strange methods of taking revenge on the defeated enemies, which the organization would include in its publications and videos, while the military reports depicting the course of battles and clashes between the organization's fighters and their enemies, and their ability to repel the attacks of enemy forces in Syria and Iraq and to bring down drones constituted above 35% of the items of footage that the organization published on its websites, and the special and professional releases reached a minimum, constituting less than 8% last February. On the other hand, the reports on" services", religious instruction, and the activities of the organization's "diwans"(departments) increased. It is observed that in the last months the organization has been focusing on supporting its media persons by directing several messages to them via videos and written publications. A lot of short films have been produced, for example" You are a Jihadist", published by Aleppo media office, and " You Media Person! You are a Jihadist", published by Salahadeen media office, and suchlike. Those short films contained messages from fighters of the organization to the media persons of the organization's institutions and the supporters on social media networks, who "shouldn't undervalue their work seeing that they are posted at a great front of the religion's" ,according to what was stated in one of these publications. In another publication, an ISIS fighter announced that "the state is sorely in need of those men who have media abilities", asking "any man who is able to carry a camera to fear God and work in the media field". The organization's pages have lately published a video release under the title" the Flames of Supporters", signed by a group styling themselves" the Army of the Caliphate supporters on Facebook and Twitter". The group defied the measures taken to close the accounts of the organization and its supporters on Facebook and Twitter, and alleged that they had the ability to infiltrate the pages of their enemies. 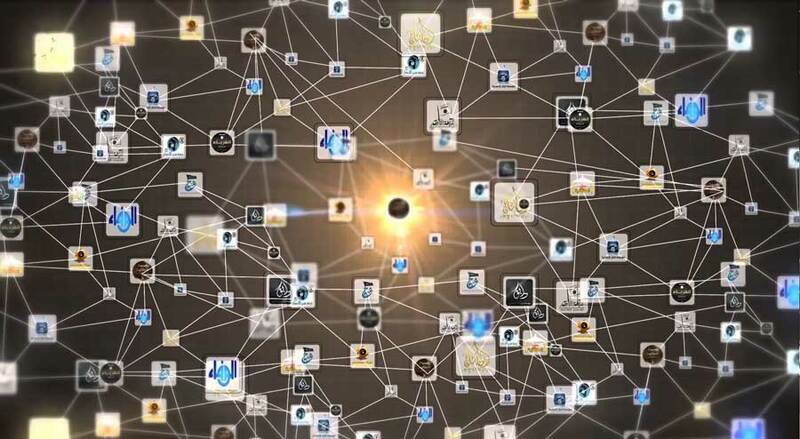 The video included two pictures of both Mark Zokerburg, Facebook founder, and Jack Dorsy, Twitter founder, coming under a hail of bullets of bad visual effects. -The military decline that the organization has been suffering from, which has deprived it of the main source of supplying material to the propaganda machine after losing a number of areas and cities in Syria and Iraq , and after the airstrikes, which the organization's cadres occupied themselves with trying to mitigate their aftereffects. -The killing of a number of the organization's officials and media symbols since July 2015. The list of those who have been killed so far includes the official responsible for coordination between ISIS's media institutions, nicknamed Abu Abdullah, who was killed in an American air raid, along with Fadel al-Hayyani, next in rank to al-Baghdadi, and Mohammad al-Amwazi, known as jihadi John, in addition to a number of officials and technicians responsible for the media offices and institutions, such as Abu Mouawia al-Shami, Abu Hajer al-Iraqi, Abu Idrees al-Iraqi and others, whose obituaries appeared on Da'eshists' pages on Twitter. -Tightening internet censorship on the activities of the organization's members on the Net. Twitter said in a statement released last February that it had suspended more than 125,000 accounts related to terrorism since the middle of 2015, and most of those accounts had been associated with ISIS. Daeshists' English accounts on Twitter have dropped to less than 1000 accounts, while search engines filters and complaints take down the organization's releases from sites for uploading video, audio, or written files, which makes the task of uploading and publishing them anew more complicated and difficult for electronic supporters. This has made Amaq Agency, set up at the end of 2014, focus on broadcasting the news and reports of the organization in journalistic language different from the organization's terms, which are known and at the same time banned. -ISIS's media production has reached its maximum limits of brutality and utilizing technology in the last year and a half after the accumulation of the professional releases and after using up all methods of killing, which are considered to be one of the most important factors that operate to highlight this production and those who are behind it. -The increased awareness of the dangers of the organization and its media. ISIS's media performance complements its military performance, and often outdoes it by drawing a meticulous and magnified image of the behavior of the large armed gangs, which were able to exploit the security, military and social vacuum to portray themselves as a State. But the military or media decline may cut the organization down to size and make the Syrian cause return to normal, even if the organization can attract attention from time to time.